How Should Foundations Like Gates Approach Social Practices of Those They Invest In? Eventually, as Occupy-related protests shifted to corporation-by-corporation strategies (witness the protests at the shareholder meetings of General Electric and Wells Fargo recently), someone was going to take a look at the investment portfolios of big foundations and spot their ownership of the corporations now targeted by the 99% Power coalition and other groups. This article from Dissident Voice takes off on the Gates Foundation’s half million shares in Monsanto, though notes, in passing, that it also holds 9.4 million shares in McDonalds, 9.6 million in Caterpillar, 10.2 in Coca-Cola, 15.7 in Waste management, 7.1 million in ExxonMobil, and 500,000 in Goldman Sachs. However, the target here is Monsanto, which the article says created Agents Orange and Blue and is a top promoter of genetically modified (more specifically, “genetically engineered” or “GE”) foods and seeds. Forty protesters marched to the new campus of the Gates Foundation recently as part of an international day of action against Monsanto. How much should a foundation be held accountable for the array of corporate policies in its investment portfolio? Does a Gates purchase of $23 million of Monsanto stock necessarily mean that Gates supports Monsanto’s GE food and seed marketing? Should Gates see its investment in Monsanto as a tacit endorsement of GE food at a minimum? 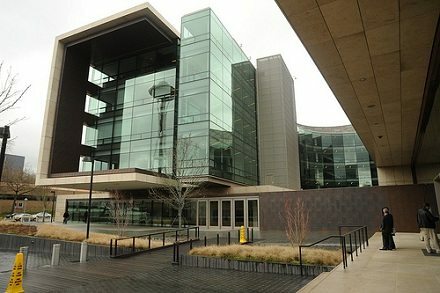 Do the policies of the Gates Foundation actually support GE food strategies in Africa, where the Foundation has made several significant agricultural investments (an allegation the protesters made)? Dissident Voice’s Paul Haeder quotes Dena Hoff, a Montana farmer and the North American coordinator of a group called La Via Campesina, to say, “The Bill & Melinda Gates Foundation Trust’s purchase of Monsanto shares indicates that the Gates Foundation’s interest in promoting the company’s seed is less about philanthropy than about profit-making. The Foundation is helping to open new markets for Monsanto, which is already the largest seed company in the world.” The protesters tied the Gates Foundation to genetically modified crops through the investments of the Foundation in the Alliance for a Green Revolution in Africa, whose website touts a visit from Melinda Gates to AGRA projects. The article sort of does itself in when it drifts into imagining a Monsanto/Gates plot similar to something out of a James Bond film or Soylent Green. There are all kinds of arguments pro and con about GE food, but the question of whether owning a stock is tantamount to endorsing its policies and politics was bound to arise. A foundation like Gates might say that it is trying to maximize its return on investments so that it has more money to grant to nonprofits, but in the balance of foundation finances, even the big foundations may be granting out only around five percent of their assets while investing the remaining 95 percent, making that 95 percent investment much more significant to society than the sliver of assets devoted to grants and program related investments. Someone has to do something for the people of Kentucky, West Virginia, and other states that rely extensively on coal for their economic activity.